Internal Editor Zoe Sottile doesn’t go to Barnard but she sure does wear a lot of mustard yellow. Send your housing questions to tips@bwog.com. So, you’ve registered for housing. You’ve read Bwog’s housing reviews. What happens next? Whereas at Columbia, for the most part students form groups when they register and stick with those groups throughout the lottery process, at Barnard the lottery happens in five separate stages determined by group size (with the exception of the SR lottery). This is another difference from Columbia – at Columbia your class year (and lottery number) determines your selection time, not group size. This allows for more fluctuation in groups – if your group of five fails to find the perfect suite, for instance, you can expand to six and try again. But it also means there are more deadlines to keep track of. Let’s dig into those stages, and explore how the lottery shook out last year. First to pick are rising seniors who are in groups of one, two, or three looking to select into corridor-style rooms in Elliott, Hewitt, and Sulz Tower. You need to form your group by 10 am on Monday, March 25th. Your lottery number will be posted by 5 pm that same day. You’ll be assigned a time slot of exactly 30 minutes to select your room sometime between March 27th and 29th. Last year: This is a new lottery tier, formed after last year’s rising seniors complained that the online lottery system (which lumped high-demand Sulz Tower rooms in with everything else in the 1/2/3 lottery) was cheating them out of the best rooms. The SR lottery should help rising seniors secure the stellar views in Sulz Tower while avoiding Hewitt and Elliott. And it’s possible that, with more seniors registering for this lottery, the 4-, 5-, and 6- person lotteries will be kinder to underclassmen (see data below). Next is the four-person lottery. Get your three besties together before 10 am on Monday, April 1st and your lottery number will be up at 5 pm. Your group will be assigned a time slot for sometime on Tuesday, April 2nd (April Fool’s!). Last year: Out of 76 groups who registered for the 4-person lottery, 12 picked into 620 (highest lottery number: 300/13*), 5 picked into 600 (highest: 200/42), 3 picked into Cathedral Gardens (highest: 300/20), 8 picked into 11o (highest: 100/65), and a whopping 48 did not pick (meaning they dropped to other lotteries). This lottery is a long shot for underclassmen unless you’re specifically gunning for a 110 suite. *This number, like all other lottery numbers in this post, will be written as “year number/pick number”, with the year number indicating the average year of the housing group (rising seniors = 300, rising juniors = 200, rising sophomores = 100) and the pick number indicating the actual time the group picked (1 being first pick, 2 being second pick, and so on). All rising seniors registered for a given lottery pick before all rising juniors, who pick before all rising sophomores. “Highest lottery number” here indicates that this is the lottery number of the last group to pick into a particular dorm in a particular lottery, before all the available suites in that dorm were taken. In other words: the last group to pick into 620 in the 4-person lottery last year was an all-senior group (300) that picked 13th (13) out of the 76 groups registered for that lottery. Trying for a suite in 616? Form a group of five! Finalize your group before 10 am on Thursday, April 4th and get your lottery number just hours later. You’ll be selecting your room sometime on that Friday, April 5th. Last year: Out of 76 groups who registered for the 5-person lottery, 10 picked into 620 (highest lottery number: 260/35), 11 picked into 616 (highest: 300/31), 1 picked into 600 (highest: 300/29), 3 picked into Cathedral Gardens (highest: 300/20), 2 picked into 110 (highest: 100/69 (nice)), and 49 dropped to other lotteries. Similarly to the 4-person lottery, the only rising sophomores who actually got a suite in the 5-person lottery picked into 110, and most rising juniors who registered did not pick a suite at all; this lottery is also a long shot for underclassmen. Sophomores hoping for a suite in Plimpton, your time has come. Register your group of six before (yep you guessed it) 10 am on Monday, April 8th to receive a lottery number by 5 pm. You’ll be selecting your rooms on Tuesday and Wednesday of that week. Last year: Out of 120 groups who registered for the 6-person lottery, 6 picked into 620 (highest: 116/68), 19 picked into 616 (highest: 166/61), 19 picked into 600 (highest: 100/75), 6 picked into Cathedral Gardens (highest: 200/29), 39 picked into Plimpton (highest: 100/96), 5 picked into 110 (highest: 100/85), and 26 split and dropped to the 1/2/3 lottery. Out of the 51 all-rising-sophomore groups who registered hoping for a Plimpton suite, only 22 were successful. (Although the two all-rising-sophomore groups who picked into 600 and the four who picked into 110 didn’t do badly, either.) Sophomores: be prepared to split up if your pick number is over 100. Did all your attempts to get bigger suites fail? Do you just really need some private space? 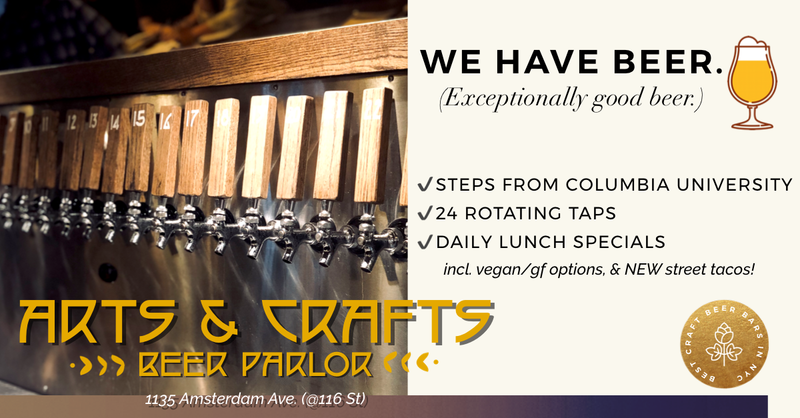 Form a group of one (aka just you), two, or three by Friday, April 12th at 10 am. Get your lottery number at 5 pm. You’ll be assigned a slot to pick your room sometime between Monday and Thursday (April 15th-18th) of the following week. An important note here is that if you’re registered in a group of two, you don’t necessarily have to pick a double. You can also select two singles that don’t even have to be on the same floor or in the same building. The same goes for groups of three – you can select a triple, a double and a single, or three singles. Registering in a group of two or three basically means you and your friend(s) are each registered individually, but you will get the same lottery number and pick time. Important note: usually studio singles in 110 have been available in the 1/2/3 lottery – this year they will not be. Neither will the O/N suites. **Sulz Tower will probably fill up in the SR Lottery this year, except for a few doubles. It is worth noting that the 1/2/3 lottery not only includes singles and doubles in corridor-style dorms, but also includes studio doubles (mostly in 600, and one studio double in CG which we’ve heard is amazing), individual rooms in large 110 suites, and individual rooms in suites which are partially filled (by RAs, people in ODS housing, etc.) Overall, this is the most chaotic of the Barnard lottery tiers; if you find yourself registered for it, may the odds be ever in your favor. Let’s say your group of four is assigned a Room Selection time of 11 to 11:30 am on Tuesday, April 2nd. Only one problem: you’re all in a seminar you can’t miss at that time. No worries, just designate a proxy to select for you. Your proxy must be a currently enrolled Barnard student. You have to fill out and sign a form with them that they must then bring to the Res Life office in 110 Sulzberger five to ten minutes before your time slot. 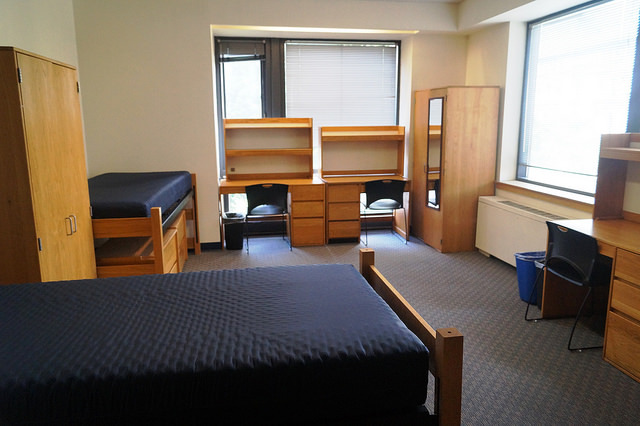 Standard four-year undergrads are guaranteed on-campus housing at Barnard. Which is why it may seem strange that come room selection, high-lottery number students may have no rooms left to select! This is because every year, more students defensively register for room selection than actually end up living in Barnard housing. People’s plans change: they go abroad, move off campus, or transfer to another school, leaving their room available for the unlucky rising sophomores left on the Guaranteed List. If there aren’t any rooms to select during your time slot or you really, really don’t want to pick any of the rooms available, sign up for the Guaranteed List afterwards by 4 pm on April 26th, 2019. You can rank room types and building preference and even link up with a roommate if you know someone who’s also on the unlucky list. The Guaranteed List is kind of a tortuous process: because you’re waiting for people to cancel their housing assignments, you may not get your assignment until August 1st. But rest assured, the “Guaranteed” is legit. If you qualify for guaranteed housing and end up on the list, you will get a room… just maybe not the room you wanted. Another quirk of Barnard housing – at Barnard, your housing selection is at least somewhat tied to your meal plan. Upperclassmen living in floors 2-8 of the Quad or in Andersen Hall are required to enroll in the Quad Upperclass Meal Plan. So if you’re really dedicated to cooking for yourself, a Hewitt single probably isn’t for you. For more information, go here. Transfers and visiting students, unfortunately, you do not have guaranteed housing. Still, you can apply for Barnard Housing before June 14th, 2019 if you’re going to matriculate in the fall or December 20th, 2019 if you’re arriving in the spring. Your prioritization for housing is based on your deposit date and the distance you live from campus. The Barnard housing system didn’t use to be like this. For a deep dive into Barnard’s transition from in-person to online room selection, check out our coverage from last year. And to explore the data which we used to determine the cutoffs listed in this post, check out this comprehensive spreadsheet. Naked room via Barnard College. @Anonymous Andersen hall? That’s not a barnard dorm.. you mean Hewitt? ?